At Protocool our highly trained commercial air duct cleaning technicians are prepared to handle any and all of your Pembroke Pines area air duct cleaning needs. 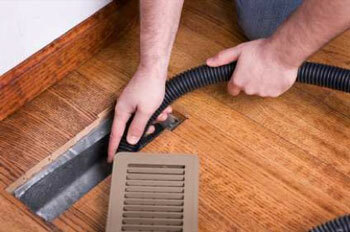 In order to ensure that the indoor air quality in your building is acceptable, it is important to have clean ducts. If the ducts in your building suffer from dust build up or the build up of other contaminants, the air that flows throughout the building could possibly make both employees and customers sick. At Protocool, we understand that dirty air ducts continually circulate mold, dust, pollen, and other materials throughout your Pembroke Pines area building. This problem can result in lost productivity amongst your employees or even drive customers away. We’ve seen this issue pop up in Pembroke Pines area apartments, schools, offices, hotels and other commercial buildings. It is common for the air ducts in Pembroke Pines area commercial buildings to accumulate dirt and dust and debris. Unfortunately, when this occurs, the inside of a building’s air ducts can become a breeding ground for mold and bacteria. Often times, rodent droppings contribute to the build up of bacteria, and can pose a serious health concern. Proper cleaning of your commercial ductwork by the pros at Protocool can solve these types of issues. At Protocool, we are prepared and trained to tackle your Pembroke Pines area commercial air duct cleaning project. Our highly trained commercial duct cleaning technicians have the experience needed to ensure your employees and customers have acceptable indoor air quality. Contact us today at 754-212-9309 to receive an estimate for your Pembroke Pines area commercial air duct cleaning service needs!